Home » POS Computers & Accessories » Computer LCD Monitor 19"
A standard LCD 19" computer monitor with desk-top stand. The standard LCD 19" computer monitor is typically used on a back office / server PC or as a 2nd screen display on a POS terminal / system which can clearly show transaction data and in-store promotions / advertisments to your customers. 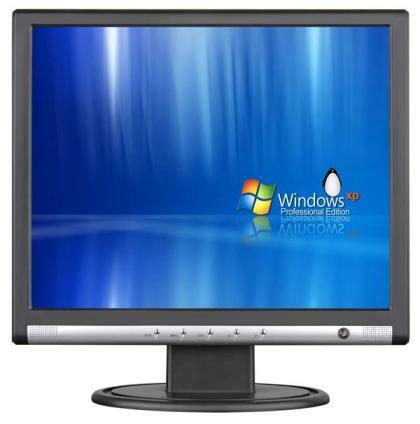 The standard LCD 19" computer monitor comes with a VGA (standard monitor) cable plus a DVI port as well as 100mm industry standard VESA mount capability. See Monitor Accessories for mounting options. Counter Top or Wall Mount options. PROSPA PAY Buy over 13 weekly payments of $ 22.31 (ex. GST). No Interest ever and No Fees if you pay on time. Contact Prospa Pay online at PROSPA PAY or call 1300 706 983 for a simple over the phone application. No obligation.